Use this link to view this commentary as a PDF document. This commentary will review the 1994 James O’Donnell essay, “The Virtual Library: An Idea Whose Time Has Passed”. After critiquing the essay, a synthesis will describe the two diverging arguments brought forth by the author, and the weaknesses of the conclusions reached. The essay argues that the “virtual library”, as an all encompassing, centralized repository of “universal knowledge”, is an ancient aspiration. O’Donnell states that the “fantasy” of the virtual library is an ancient one that is “almost coterminous with the history of the book itself” (O’Donnell, 1994, para. 9). This ancient hope is now encapsulated with today’s technology of the Internet and computer. However, O’Donnell believes that society now risks excising the traditional roles the library has played for centuries in this quest to create the virtual library. He describes the central roles of the library as, “an extraordinary one, of course, and thus fragile” (O’Donnell, 1994, para. 8). One of these functions has been to collect codices and books to help knowledge survive. While the continuing to focus of preserving knowledge, the library collections changed, “between the traditional literary culture of antiquity and the chiefly monastic Christian textual culture of the middle ages” (O’Donnell, 1994, para 12). Another central tenet of the library that the author further describes is the “authority” and centralized power that books developed and maintained concurrently with libraries. Text maintained power due to the acceptance, expectation, and reliance on its existence (O’Donnell, 1994, para. 15). O’Donnell sees this deference to text as a, “reliance on texts implies that someone will own texts and they will be accessible: ownership and access remain central concerns in all discussion of the present and future of the library” (O’Donnell, 1994, para. 20). He sees these issues of the power of text, and the control and access to text as being predominant issues up to and including modern libraries. Both ancient and modern libraries have also seen them share, “the fantasy of the virtual library” (O’Donnell, 1994, para. 24). This is due to all libraries, virtual or otherwise seeing themselves as receptacles of the culmination of knowledge. However, O’Donnell sees the concept of any library, virtual or otherwise, fulfilling such as goal, being “at best a useful fiction, at worst a hallucination” (O’Donnell, 1994, para. 28). He also sees virtual libraries as creating risks for authors, professors, publishers, librarians, and scholars, for the stability of text and its ability to transmit key knowledge to new generations (O’Donnell, 1994, para. 31-32). Further, the very dominance of text in under threat the face of the visual and aural capabilities of a virtual library (i O’Donnell, 1994, para 27). The author further questions where the control and access functions will be maintained within a virtual libraries contents as, “one of the most valuable functions of the traditional library has not been its inclusivity but its exclusivity that keeps out as many things as it keeps in” (O’Donnell, 1994, para. 36). O’Donnell sees the most positive of outcomes as being a virtual library the incorporates all that exists now in libraries but, “only better and faster” (O’Donnell, 1994, para 34). In my opinion, O’Donnell’s arguments are unclear as he describes two divergent, but incongruent themes. 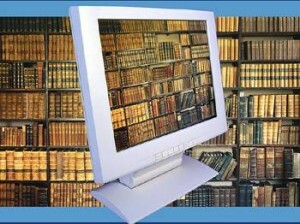 One theme describes the virtual library in terms of a “myth” that will not come to fruition, while the other theme acknowledges the development of the virtual library while worrying about the change or extinction of many of the traditional roles of libraries that may come with a virtual library. One area of concern is that O’Donnell appears to argue that the form of the library is one that only in the late twentieth and early twenty-first centuries saw change. However, he refutes his own point when he notes that libraries changed from a scholarly to a Christian focus. (O’Donnell, 1994, para. 12). Further, this evolution of the library is also seen by Roy (1997) who notes that, “although the clientele, sources of funding, classification system, and prevailing media has changed, the fundamental function of the library has remained stable throughout history” (para. 1). The library has experienced change but has continued to exist. Another area of concern is regarding the centralized power of the library. Other proponents of the virtual library such as Babbar and Chandok (2008), also note that “the most critical issues in a digital archiving strategy are not technical, although these are formidable, but economic, societal, and organizational” (p. 295). Roy (1997) also explains, “the potential for censorship, control of access to knowledge and information, and limitation of intellectual freedom is boundless” (para. 12). While the issue of control may be a continuing issue, if “the library” continues to function as a monolithic entity with all included media scrutinized, cataloged, and housed within a library that has “one ideal form” (O’Donnell, 1994, para. 26), there may be an alternative outcome. It can be argued that the Internet and thus a virtual library could be the exact antithesis of this unified form due to the vast number of sources from individuals writing weblogs to media organizations creating online content. All of these wellsprings are separate, yet within the loose coalescence of the Internet are simultaneously accessible and thus create individual personal libraries for every “netizen”. While an entity such as a university may reject a text in codex or electronic form for its library, virtual or otherwise, the difference is that the electronic text may still be accessible from another online source. To this end, the question must be raised if the control function of libraries is a vital, necessary, or viable one or are there better roles to play. O’Donnell’s argument that the “author is already an endangered species,” (para. 28) can be disputed as anyone with Internet access may become a published author with a readership from zero to millions. While O’Donnell may be concerned about the survival of the library, others are not. Babbar and Chandok write that, “to claim, as some now do, that the “Paperless Society” will make libraries obsolete is as silly as saying shoes have made feet unnecessary” (p. 298). McClure (1995) continues this belief by declaring, “whatever it is called – library, learning center, digital or virtual library – the institution will continue to be a place” (p. 314). The author appears cynical of a technologically-based decentralized library proposed by some. To be sure, a pollyanna optimism surrounding virtual libraries is not useful either, only a balanced consideration of the positives and benefits of the concept will help examination this important scholarly topic in a thorough manner. If O’Donnell’s dystopic library vision is true, then other cultural edifices such as museums and art galleries may also be headed for their demise. However, I suggest that it is more likely that all libraries will continue and evolve into new, still vital forms that continue to serve their patrons. I could not study without a digital library, so I am biased, but nevertheless it is not yet a replacement for a big city library.